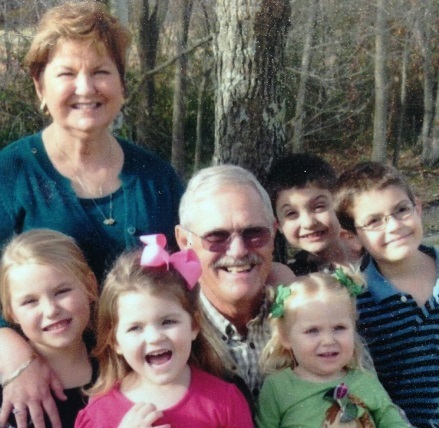 Our Papa, Darrel Champion, is very sick and needs your help. He suffers from severe cardiomyopathy (enlarged heart) and he is kept alive by a LVAD (left ventricular heart device). The LVAD takes over pumping his blood because his heart is too weak to supply enough blood for him to live. He is on the waiting list for a life-saving heart transplant at Vanderbilt University Medical Center. He needs your help to make this happen. Papa has lived in Kentucky his entire life and attended high school first at North Marshall High School and then Livingston Central High School where he graduated in 1969. After two years at Paducah Community College he finished his degree in Respiratory Therapy at the University of Kentucky in 1974. He became a Registered Respiratory Therapist in 1975; one of the first three thousand in the U.S. Papa worked his entire career at Western Baptist Hospital where he helped thousands of patients and retired after 40 years. His last project was the development and implementation of the NICU (Neonatal Intensive Care Unit) saving hundreds of western Kentucky families from traveling to other medical centers for infant care. Papa has been on the transplant list since 2014. Even with insurance, a heart transplant is very expensive and there are many costs that must be paid out of pocket. Some of these are co-pays, deductibles, travel to and from the transplant center, relocation at the time of transplant and he will be on a life-time of expensive anti-rejection medications. Please consider helping our Papa Darrel so that we have him to enjoy for many years to come. To help our Papa Darrel with the financial burden of his uninsured expenses, a fundraising campaign in his honor has been established with HelpHOPELive, a trusted nonprofit organization that has been providing community-based fundraising guidance to patients and their families for more than 30 years. All donations are tax deductible, are held by HelpHOPELive in the South-Atlantic Heart Transplant fund, and are administered by HelpHOPELive for transplant-related expenses only. Please consider a contribution of your time or money. To make a tax-deductible donation to this fundraising campaign, click on the Donate Now button. Keep an eye on Papa Darrel’s campaign page at HelpHOPELive.org because we will be updating it regularly and planning some fundraisers soon. If you have any questions please contact our Noni, Cathie, at 270-898-6440 or our parents Jason at 931-801-2831 or Amanda at 270-898-0909. On behalf of Papa Darrel, Nonie Cathie, our parents Jason and Amanda, and ourselves, thank you for your kindness, prayers, support and generosity.